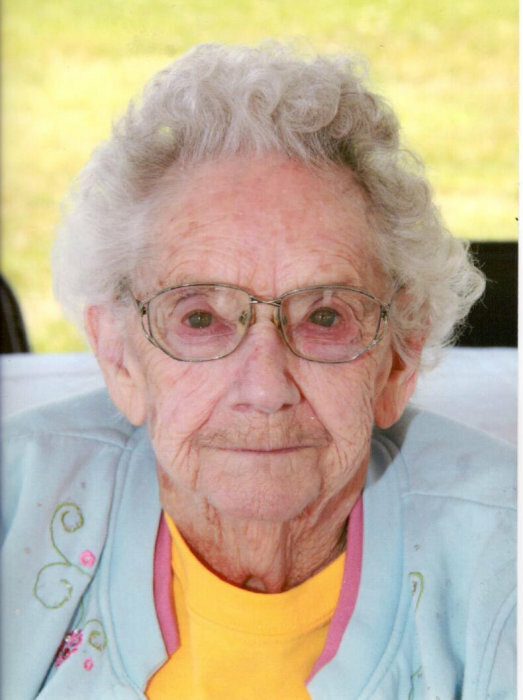 Marian Guntrum, 97 of Orchard Manor, Grove City passed away January 6, 2018. Marian was born March 14, 1920 in Grove City, she was the daughter of Harry and Bertha Sutherland. Marian graduated from Grove City High School. She later married Samuel Guntrum in 1945. Samuel passed away in 1984. Together her and husband owned and operated Isley’s Ice Cream and Grocery Store before moving to Florida. Marian loved to knit and spent her free time reading. Loved ones left to cherish Marian memory are her children Bonnie Urey of Grove City and Gary Sutherland of Slippery Rock. 6 grandchildren and 8 great grandchildren and one great great grandson also survive. Marian was preceded in death by her parents, husband, her son Sam Guntrum, a great grandson Michael, and her sisters Helen, Florence and Betty. Burial will take place at the convenience of the family. The Jamison-McKinley Funeral Home, Harrisville are in charge of the arrangements.